Watercolor seascape paintings. I spent most of last year painting the ocean. I continue to be inspired by the water and challenged by painting it, capturing all the nuances. 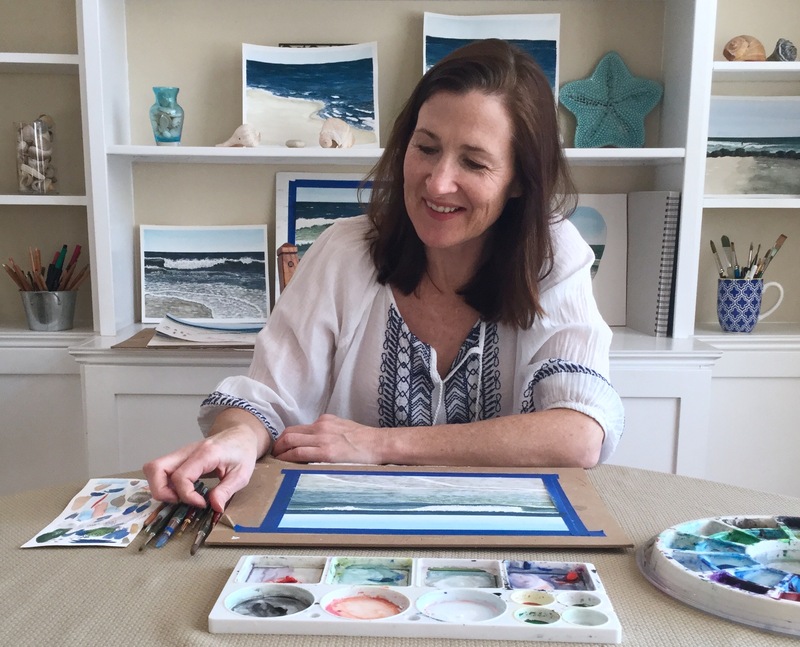 Click here to see the growing collection of seascapes available for purchase as Giclee Art Prints. Cards, mugs, ornaments and more! Click here to visit my Zazzle shop for products that express a love for summer! Summer fabric prints available on Spoonflower. 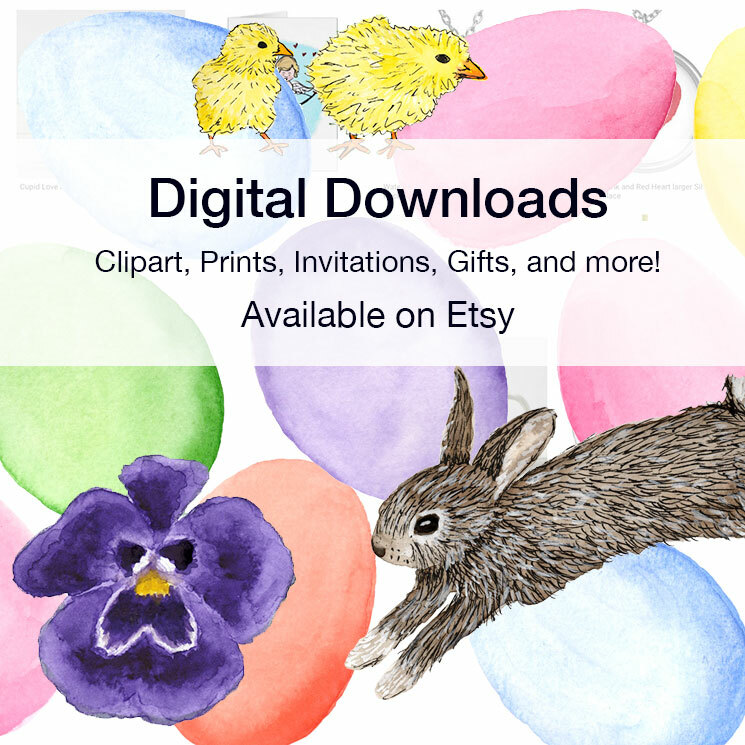 Visit my Spoonflower shop here. A Summer Beach Pin! 1″ soft enamel pin with rubber clutch. Click here to purchase. Headbandhappyak.com recently introduced headbands with my Bigger Swimmers Swimming Laps fabric. I’m so thrilled and just ordered one. Click here if you’d like one for yourself. DIY Swimming Drawstring Bag. Visit thedailysew.com to download the free Deluxe Drawstring Bag pattern and instructions! Order my “Swimming Laps” fabric here. Read: Prep for the Beach Now and make getting ready a breeze!